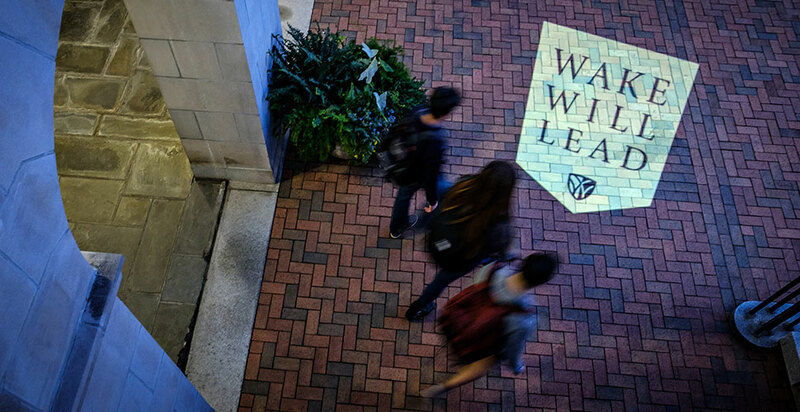 During Homecoming Weekend in 2013, we celebrated the launch of Wake Will: The Campaign for Wake Forest with the belief that alumni, parents, and friends would rally behind our vision of preparing students to lead lives that matter. We planned to invest a total of $600 million in the Reynolda Campus by 2018. More than 50,000 of us have made a financial gift to Wake Will. We funded 300 new scholarships, 327 new student aid funds, endowed ten new faculty chairs, created 30 new funds supporting academic departments, and enabled the renovation of the core of the Wake Forest campus and given rise to vital new facilities. The current U.S. News rankings mark 21 consecutive years among the top-30 national universities, a top-5 ranking for our commitment to undergraduate teaching, and we are first among national universities in the proportion of students who earn academic credit while studying abroad. This fall, we welcomed the Class of 2020 to campus – joining the most competitive and diverse student body in Wake Forest history. These students will benefit from new international, joint-degree, and cross-school programs that create opportunities to transcend the boundaries of campus, culture and academic discipline. We have enhanced our ability to produce champions on and off the field with new athletic facilities and support for our student-athletes. Our schools of business, divinity, and law are realizing the benefits of new and renovated physical spaces, support for faculty, and new sources of student aid. Wake Forest is the only top-30 institution to offer for-credit career development courses to all students, resulting in 98.5% of graduates employed or accepted into graduate school within six months of graduation – and prepared for a lifetime of career changes. I share the following news with great gratitude for what we have accomplished together: our Wake Forest community has donated more than $625 million, exceeding our original Wake Will campaign goal two years ahead of schedule. Ensure every student has a meaningful, mentored educational experience? Prepare students for jobs that don’t yet exist? 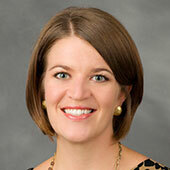 Educate students in important new fields of study, offered in dynamic new locations? Help students transcend the boundaries of geography, culture, and personal circumstances? Prepare students for the inevitable and everyday tests of leadership and character? Prepare worthy professionals with a commitment to serve their congregations, customers and clients, as well as their industries and communities? Wake Will Lead provides answers to these questions and promises Wake Forest will claim a leadership position in signature strengths and emerging opportunities. Each dean and campus leader – to include those leading the undergraduate college, the graduate school, professional schools, campus life, Reynolda House and athletics department – has accepted the challenge to identify how they will lead in their respective fields as we seek to invest $400 million beyond our original goal in the Reynolda Campus by 2020. By raising a total of $1 billion in a decade, Wake Will Lead us into a new era where philanthropy can fuel Wake Forest’s aspirations and reduce our dependence on student tuition. I am enthusiastic about what a commitment to lead makes possible for our community of learning and grateful for your continuous support. Please join me in celebrating our promising future.